Here we have a cool looking Cap. Decorated with a Deer Skull, Tribal Swirls, and the word Predator on it. 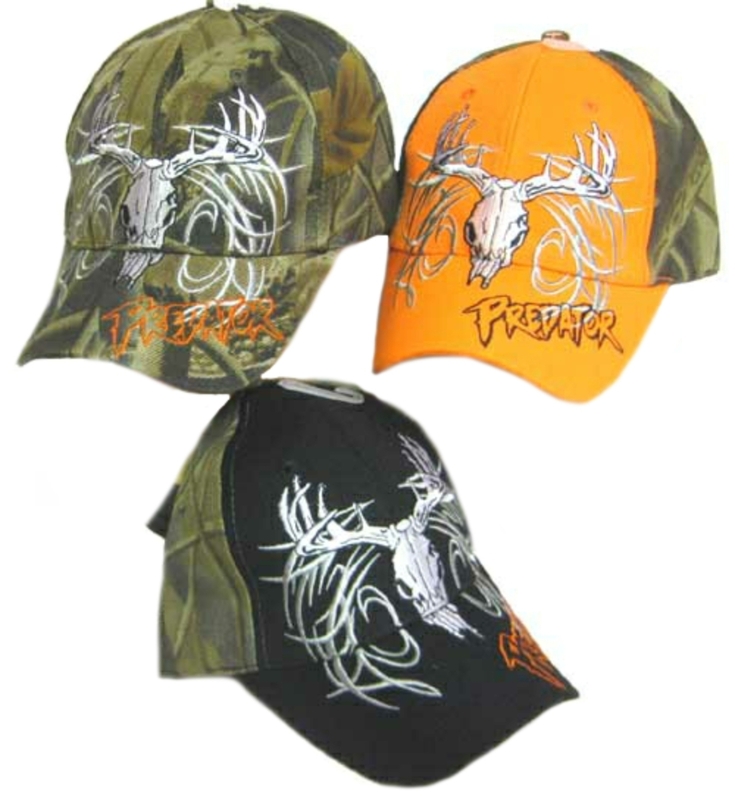 Comes in three colors: Orange, Camo, and/or Black. Pick one out for yourself, or a friend or family member! When ordering, please let us know which color variant you'd prefer.